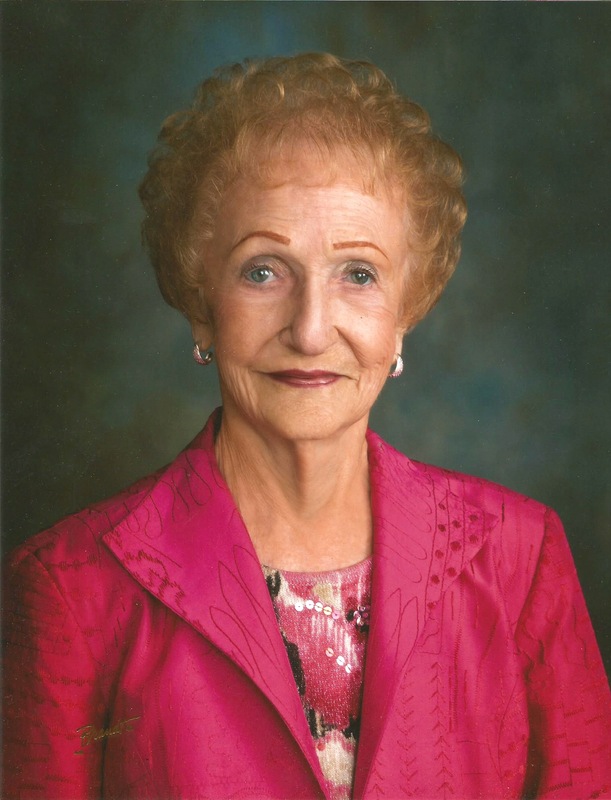 Wilma Winterton LeSueur passed away in Mesa, Arizona, at the age of 92. She was born in Charleston, Utah to loving parents, Fred Winterton and Sheila Carlile Winterton. She had a happy childhood on their farm. At the age of 12 years, after the death of her father, the family moved to Mesa, Arizona. She spent her remaining years in Arizona, but kept her close family ties in Utah. Wilma was preceded in death by her husband, Ned A. LeSueur; sister, Velda W. Carlson of Heber City, Utah; brother, Neil Winterton of West Jordan, Utah; and brother, Boyd Winterton of Salt Lake City, Utah. She is survived by her sons, Charles (Dawn) and Ben (Louisa); daughter, Lisa McNutt (Anthony); 12 grandchildren; and 19 great-grandchildren. Her family included many loving nieces and nephews. Wilma loved family reunions, trips and excursions with her family, dinners with her “Fun Bunch” and many travels with her friends. A special joy in her life was working with the Young Women of The Church of Jesus Christ of Latter-day Saints. They were so special to her. She kept a close bond with her school friends through the years. Funeral Services will be held at 10:30am on Saturday, April 20, 2019 at The Church of Jesus Christ of Latter-day Saints – Elmwood Ward, 925 North Harris Drive, Mesa, Arizona 85203. A visitation for friends and family will be held prior to the funeral service, from 9:00 to 10:3oam. my deepest sympathy to all the family I did not know her personally we lived across the street from this beautiful women we would see her outside tending to her home and just as happy as can be we live in the apt called copper point we have been her for over 7 years and we are sad to know she is gone but she lived her life to the fullest and now she lays in gods loving arms ! god bless to all and may she rest in peace !!! We cannot begin to describe how much we enjoyed Wilma’s grand enthusiasm and graceful spirit. She had more energy than a stick of dynamite and more love for her friends and family than anyone else we can recall. Although we are saddened by her passing, we were fortunate to have had her be such an important part of our lives. Thank you to the entire LeSueur family for sharing her with us. Our thoughts and prayers are with you. God bless. I’m grateful to have known Aunt Wilma in my life. She was a wonderful aunt and neighbor. Once in a while, on Sunday she’d bring me home from church whenever Grandma wasn’t feeling well. Whenever I’d stay with Grandma, she’d save the sports section of her newspaper for me. One time when the power went out @ Grandma’s, she’d let us spend the night with her. R.I.P. Aunt Wilma. You’re loved & missed by all. My deepest sympathy and condolences to all the family that Wilma leaves behind. She was a fun friend and always had a big welcome hug when she would see us. Even though my husband Don Millett has been deceased for a year now, Wilma helped him a great deal when they worked together for the Mesa Historical Society at the Lehi Museum. She did a lot of good for the community. She loved the people in the Church. She was always a good friend of ours. I will miss her friendly greeting. Wilma was my cousin and friend. I will miss our friendship and I learned much about a courageous spirit from her. I’ll miss her greatly. Dear Ben – My love is with you and your family. Your mom was wonderful. I know my mom was so grateful for her when my dad first brought her to Mesa to live. Your mom took her under her wing and lovingly introduced her to everyone and made her feel welcomed and needed. It has always been our Ray Family’s privilege to have the LeSueurs as our friends. As I’ve grown older, I’ve learned to regularly acknowledge the wonderful relationships I’ve enjoyed in my life. Sometimes those acknowledgments are bitter sweet. I was broken-hearted to receive word that my surrogate mother, Wilma LeSueur, had passed away. In my youth I spent so much time in the LeSueur home that Wilma had no choice but to help my parents raise me. For the record, I am not her only proxy child. The line is long. Wilma’s influence in my life cannot easily be explained. Suffice it to say I love her and have proudly introduced her as my 2nd mother for most of my life. She leaves a legacy that goes well beyond the LeSueur clan and has touched the lives of countless individuals like me. I pray that Heavenly Father’s love will help comfort Charles, Ben (my best brother), and Lisa at this time of loss.